Shopping for the home is often overwhelming. 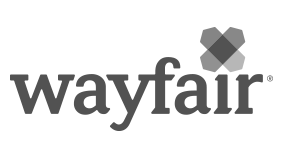 Wayfair is an extreme case – it’s visited by two million people daily, shopping across more than 10 million products: Home furnishings, décor, home improvement, housewares, and more. Our software engineering teams work hard to conceal the complexity of this experience. Every customer should come away feeling like they’ve found the perfect item for them. Shopping for the home should be exciting, and we’re the team that makes that happen..
You have an Undergraduate or Master’s Degree in Computer Science/Computer Engineering/Software Engineering or equivalent, and at least 2+ years of professional Android development experience.